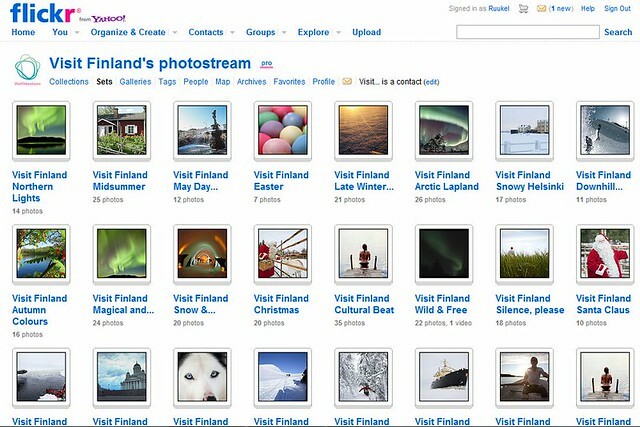 I had a fun exercise yesterday – to have a look how the national tourism organizations of European countries are using Flickr, the most important photo hosting and sharing site on the Web. 1. Most of European DMOs are using Flickr. 1) Simplest way is to create a branded DMO account and upload pictures, that marketing organization has bought the user rights. This first level involves organizing pictures in albums on most important themes, seasons, attractions and touristic values of country. It is the “one way” communication. Almost nobody of 80 million Flickr users is commenting on these pictures. In fact this tactic does not involve an ambition to talk with audience, build a community and engage with them. Anyway, this basic level of Flickr usage is a first step, and better than not using Flickr at all. 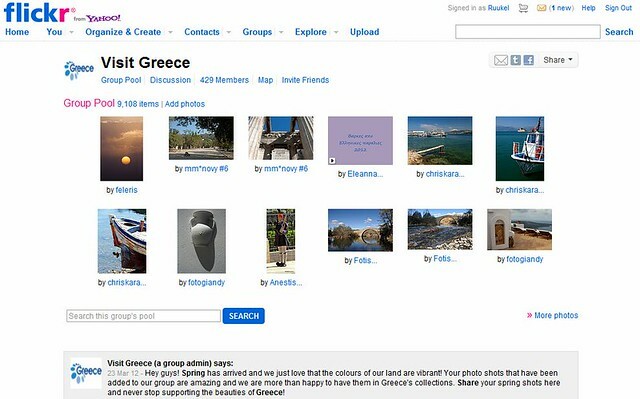 2) Second level and a much better way of using Flickr is to create a group. This approach involves crowdsourcing photos of happy tourists, by inviting users of Flickr to add relevant photos to the group created and managed by DMO. Some of the best practice of Flickr usage include Norway, Greece, Malta. The most revolutionary aspect of Wales Tourist Organization initiative is the ambition to train the many businesses and organisations around Wales and “move them from relative eBusiness immaturity to being firmly in the digital age”. I am following with greatest excitement the story of ShareWales. What do you think of the different possibilities of using it? This entry was posted in Education, Training and tagged Flickr, ShareWales. Bookmark the permalink.